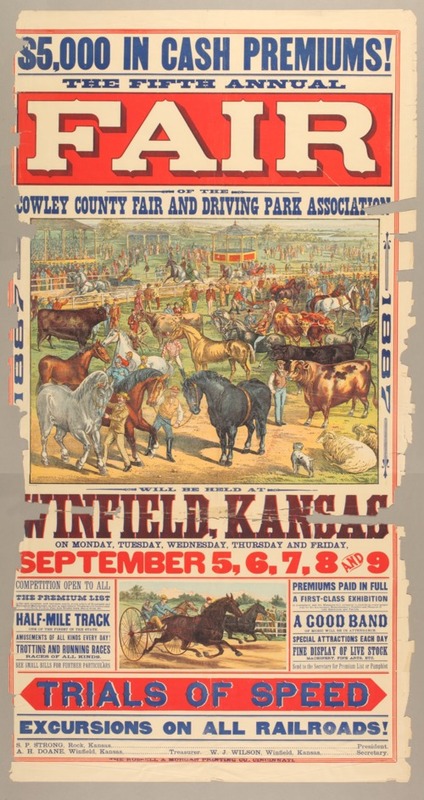 Horses and cattle are prominently displayed on this poster for the Cowley County fair in Winfield, Kansas. Some of the entertainment and activities listed include a half mile track for horse racing, live music, and displays of livestock. Fair officers are S. P. Strong, president; W. J. Wilson, secretary; and A. H. Doane, treasurer.